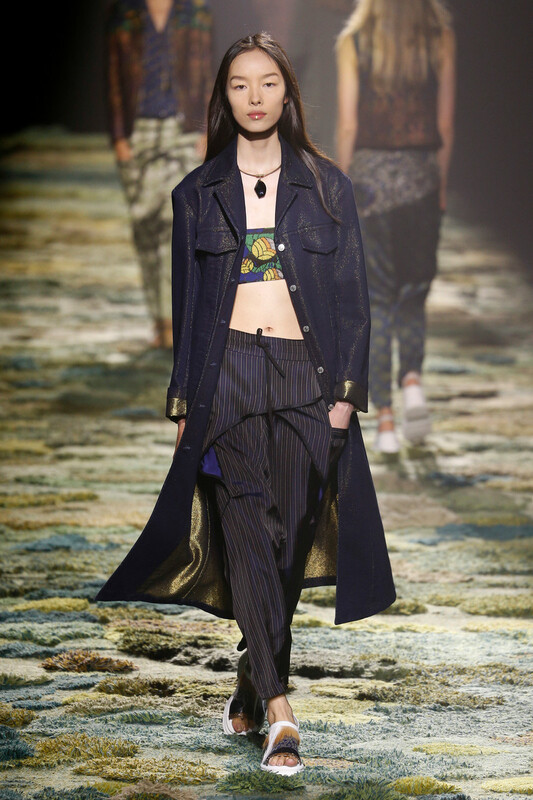 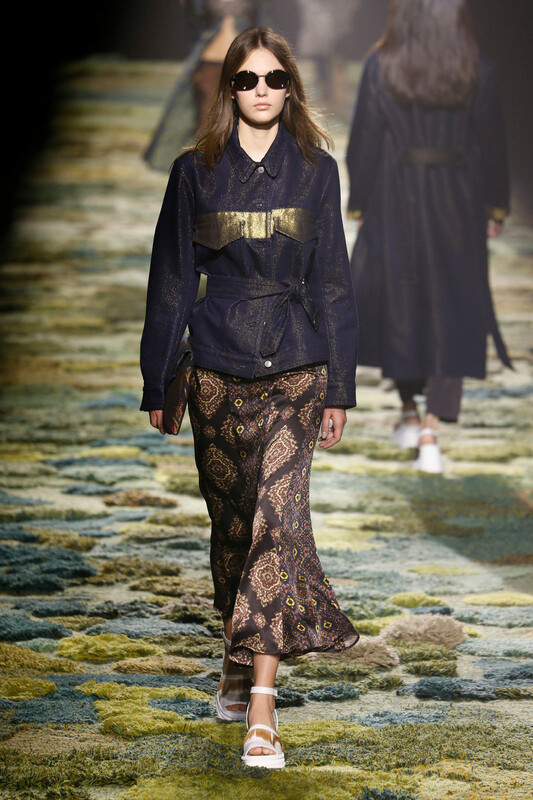 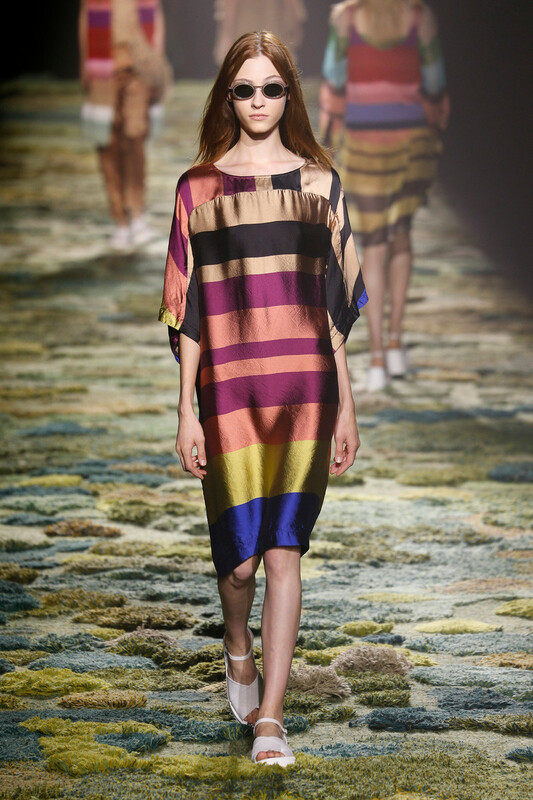 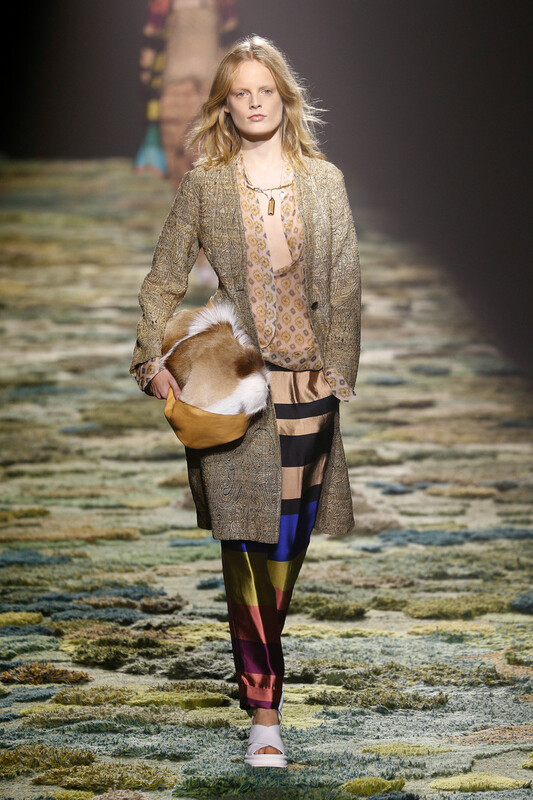 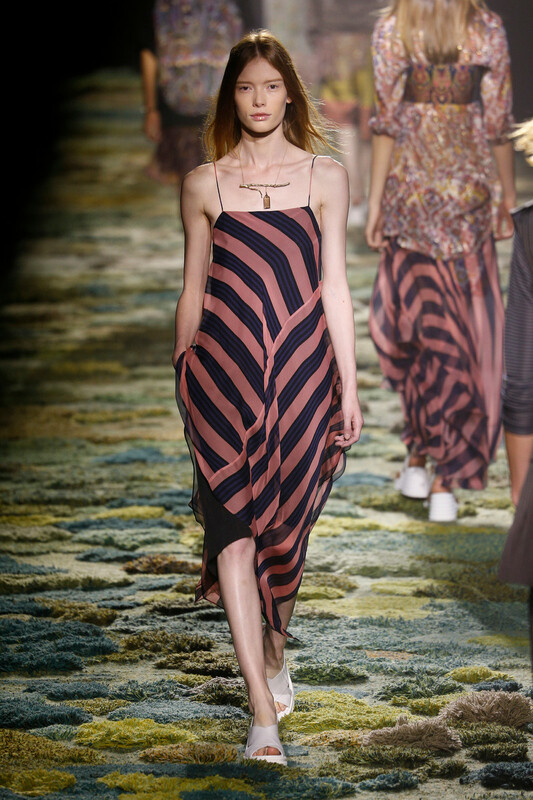 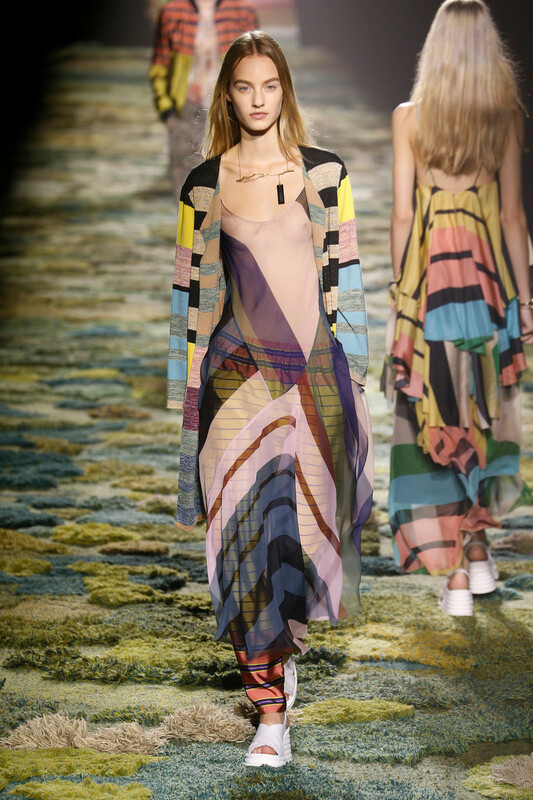 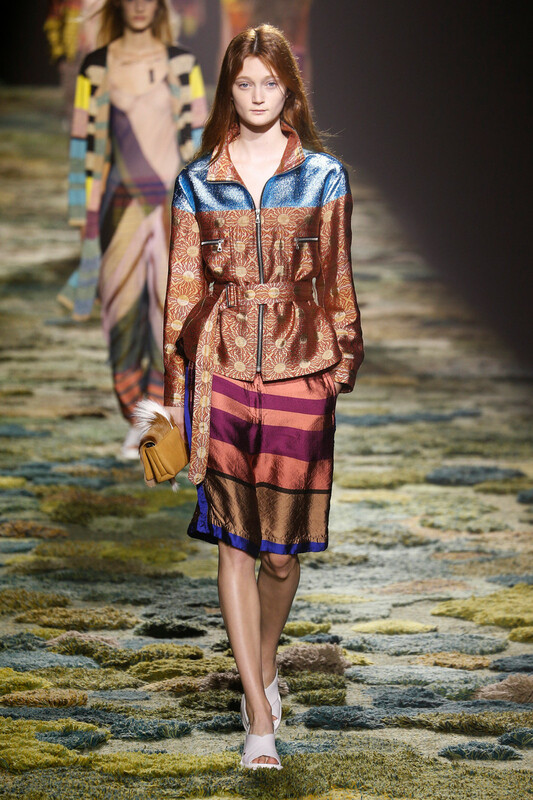 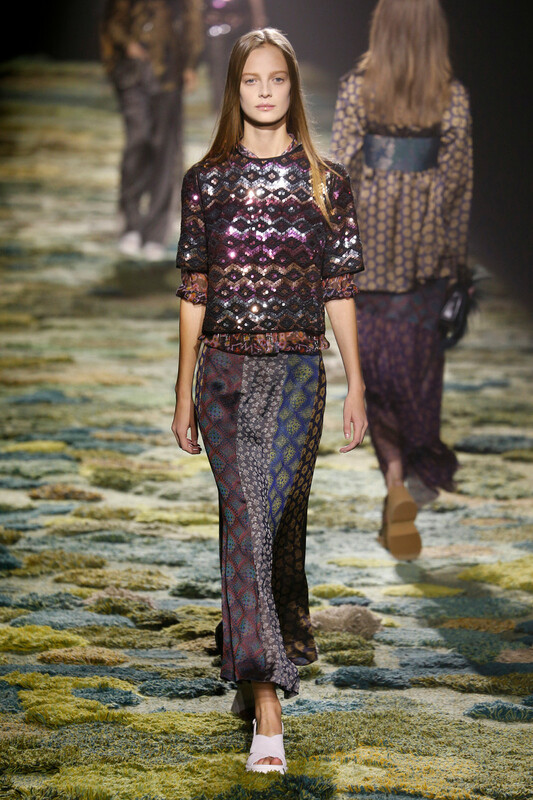 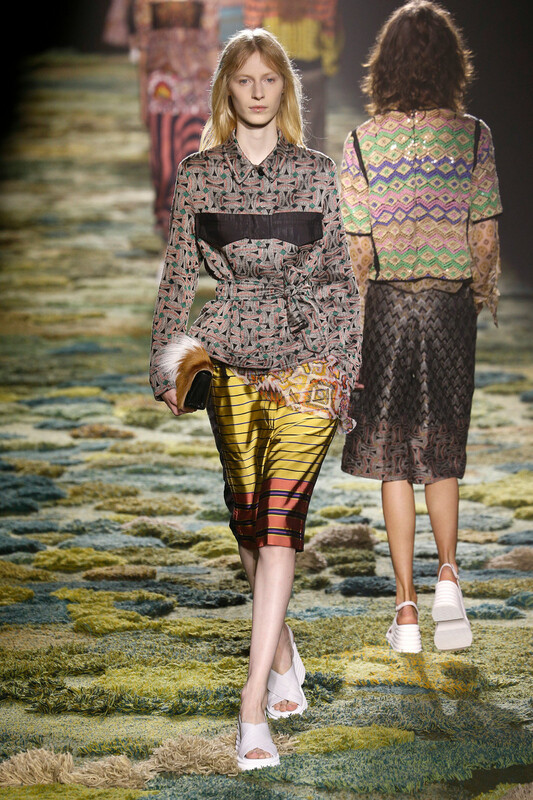 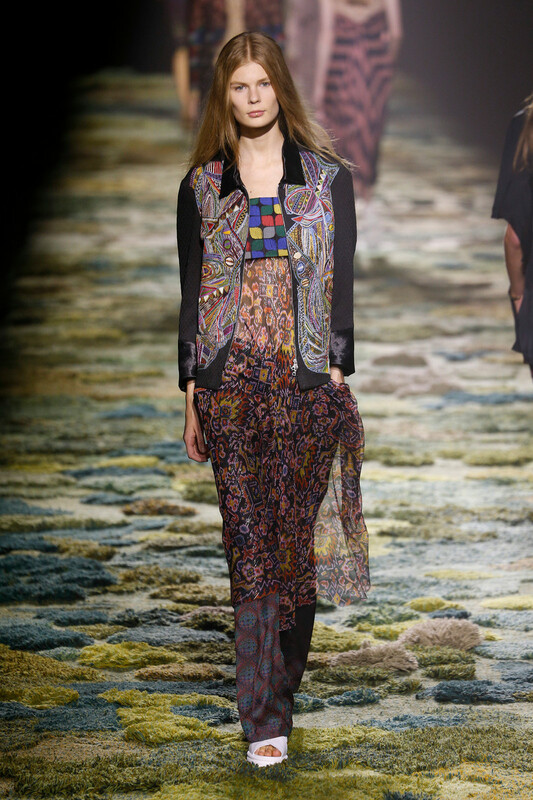 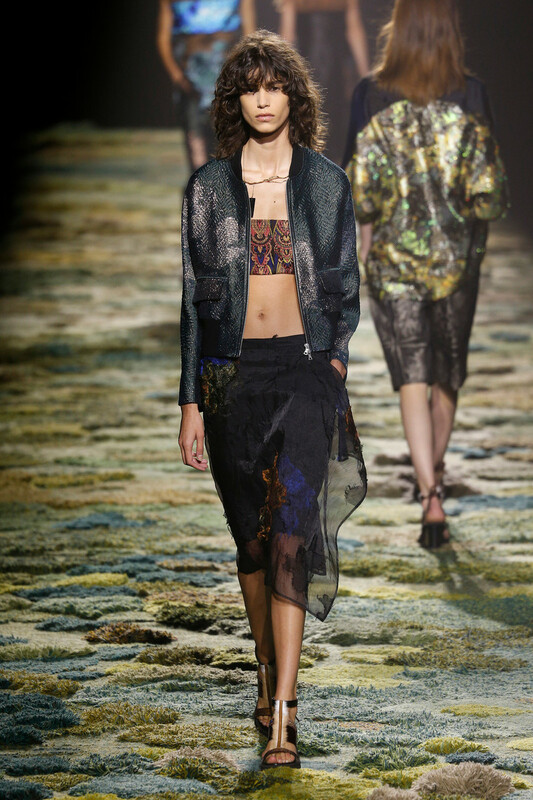 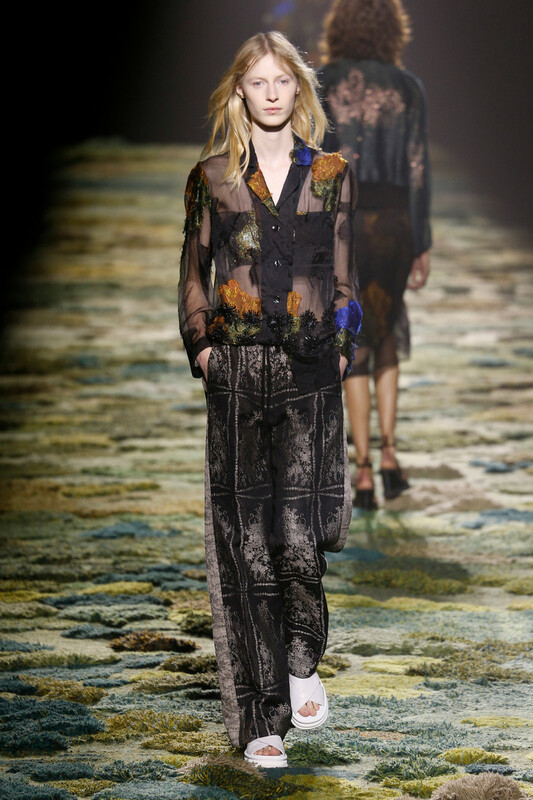 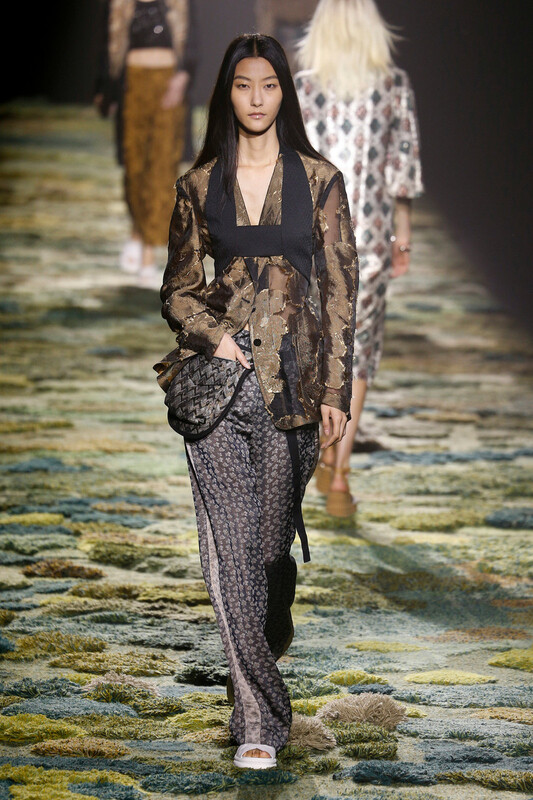 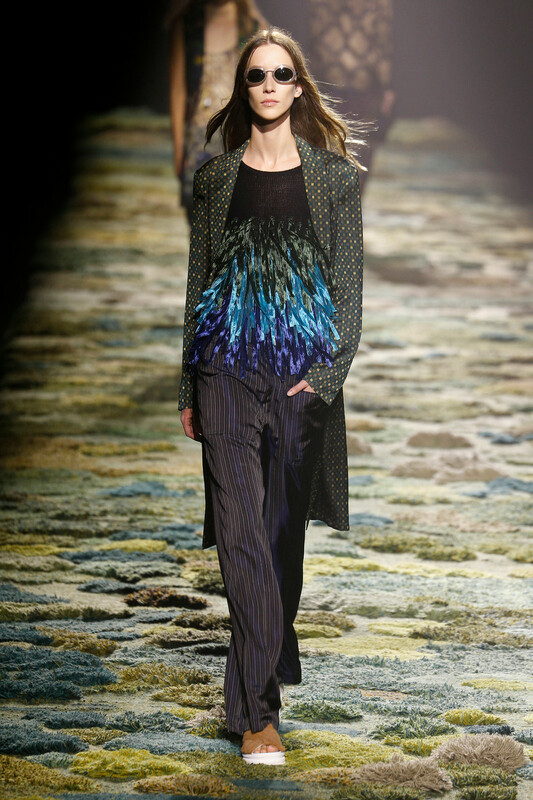 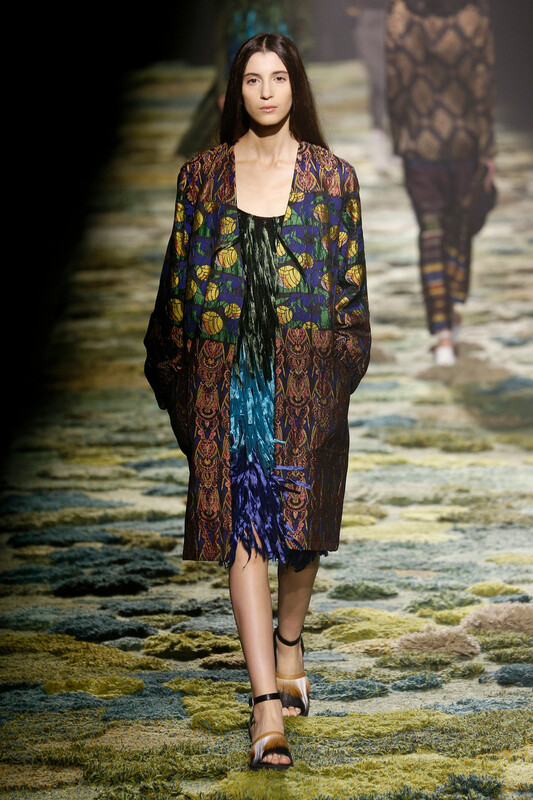 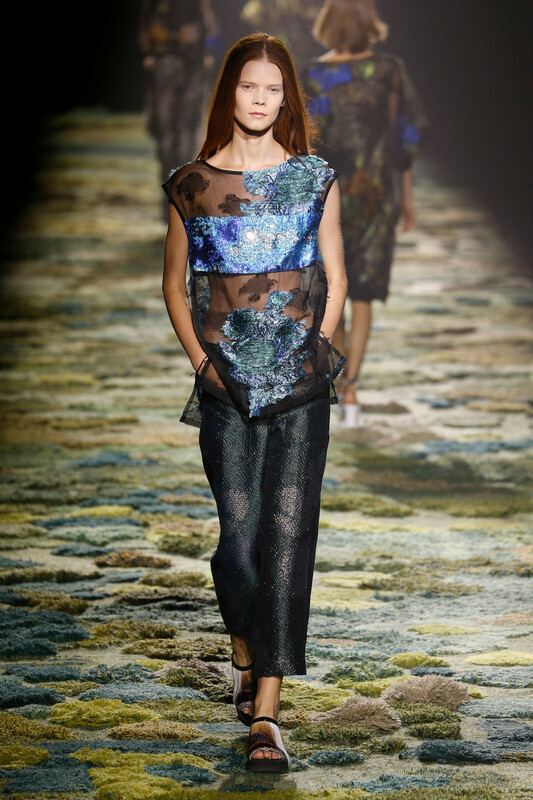 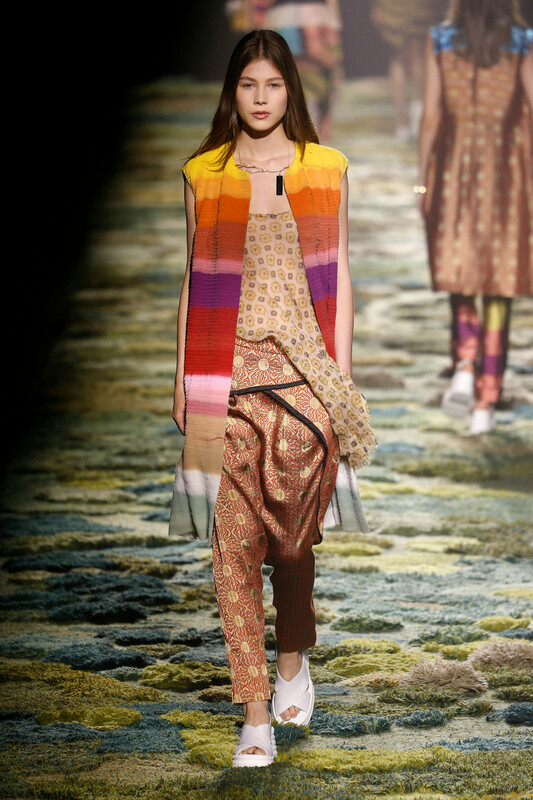 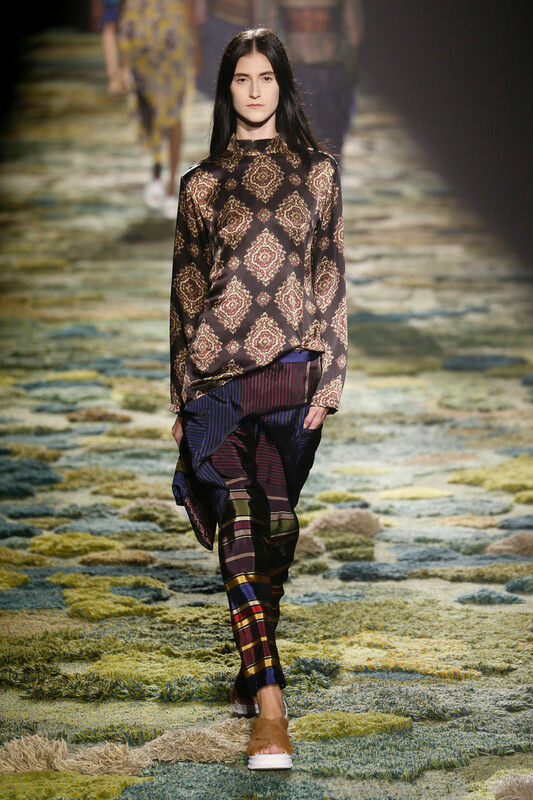 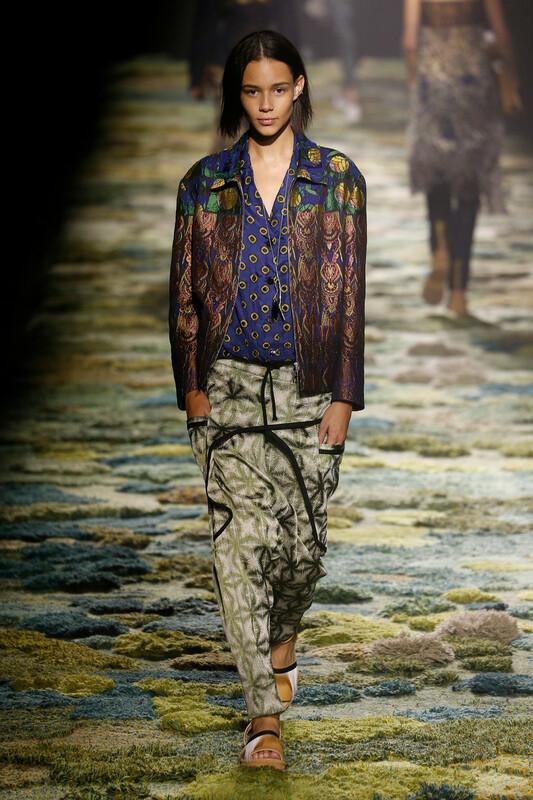 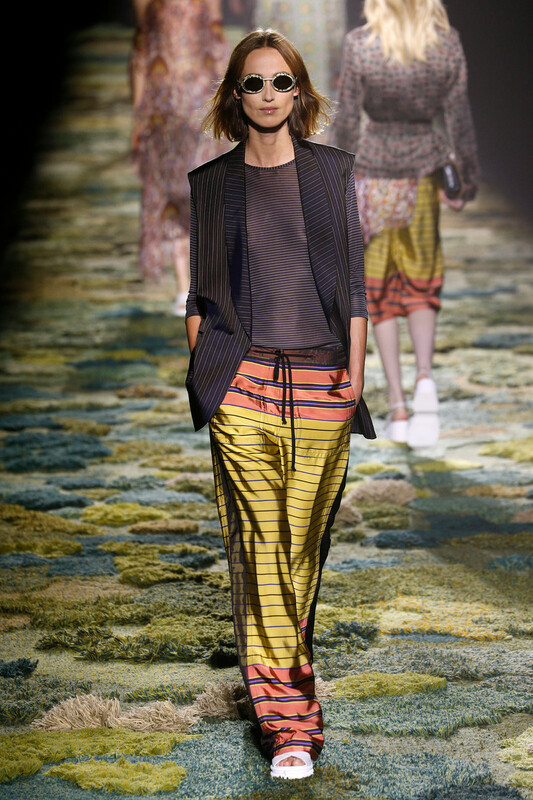 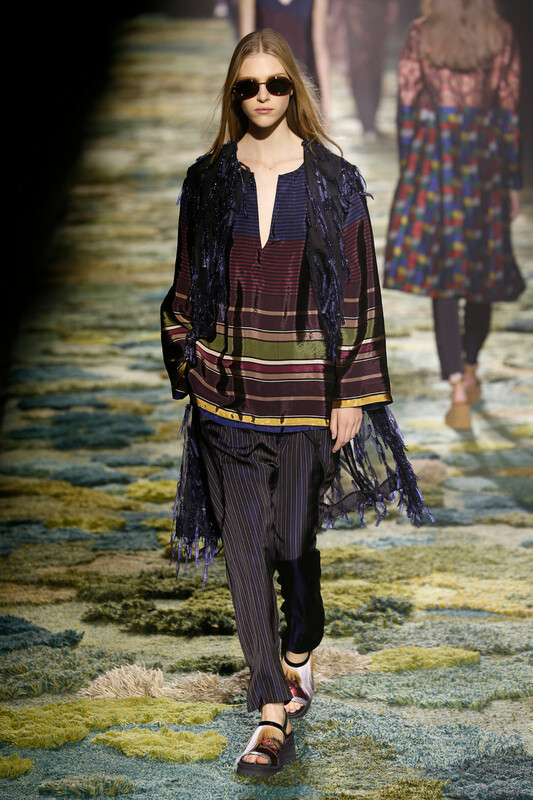 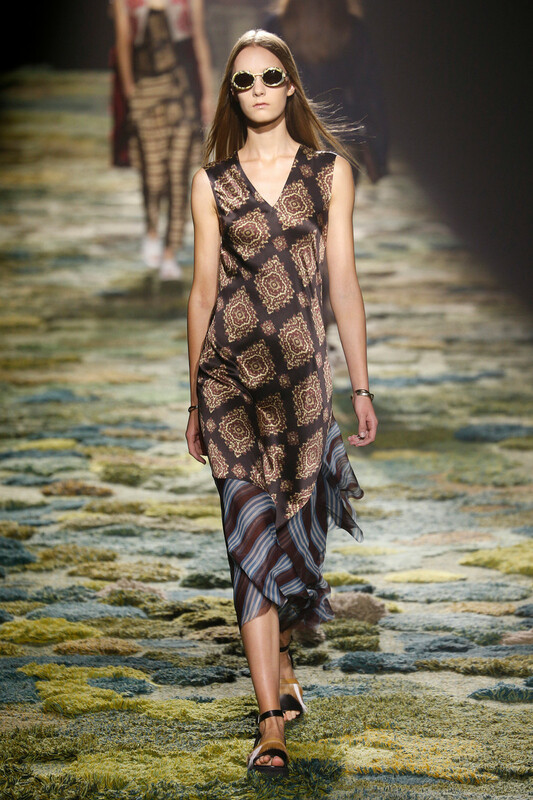 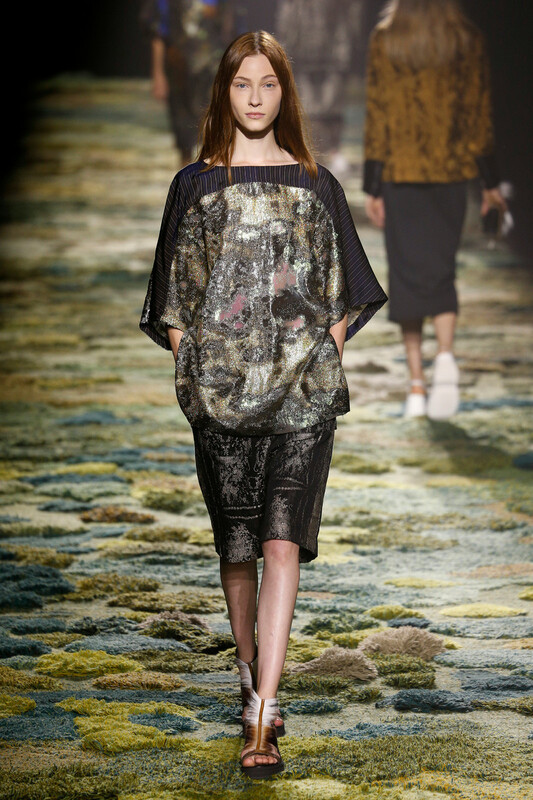 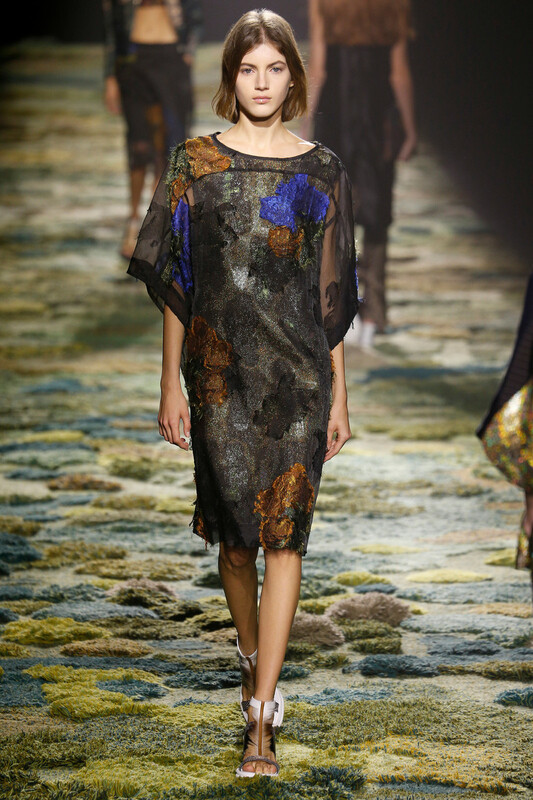 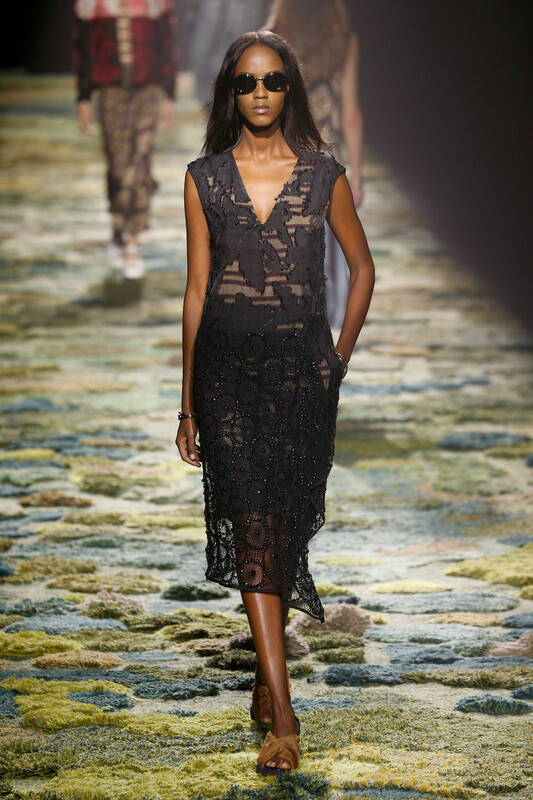 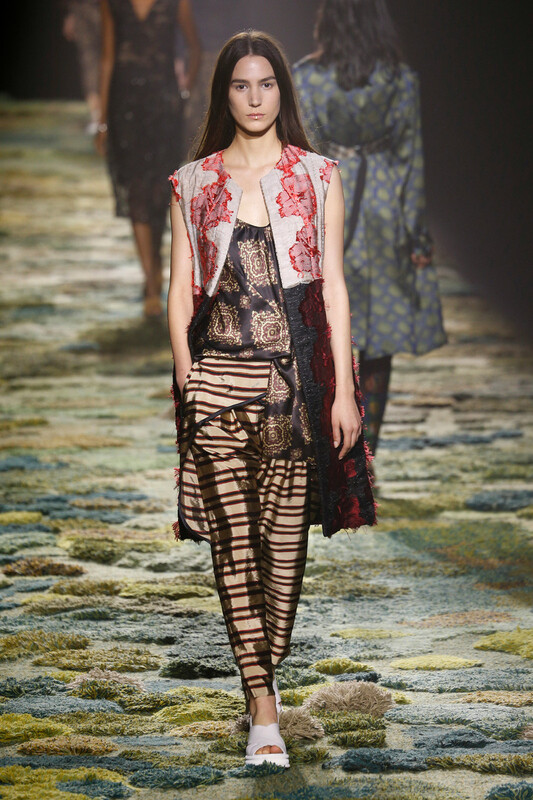 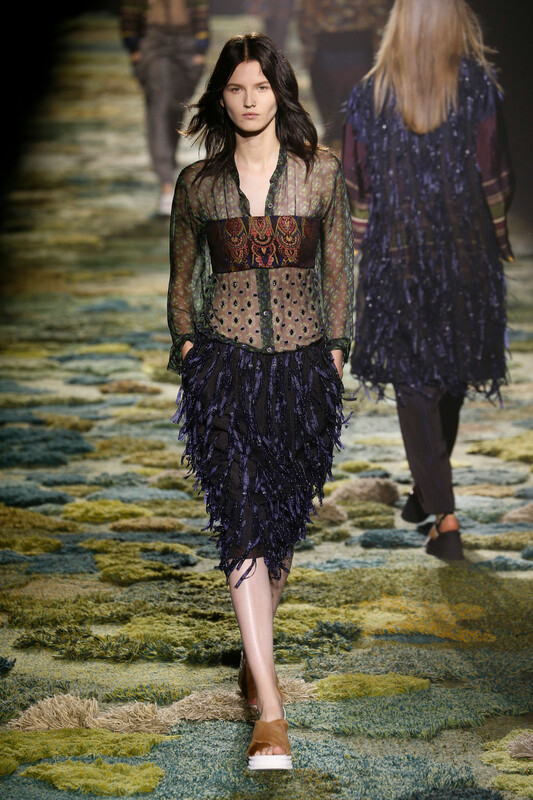 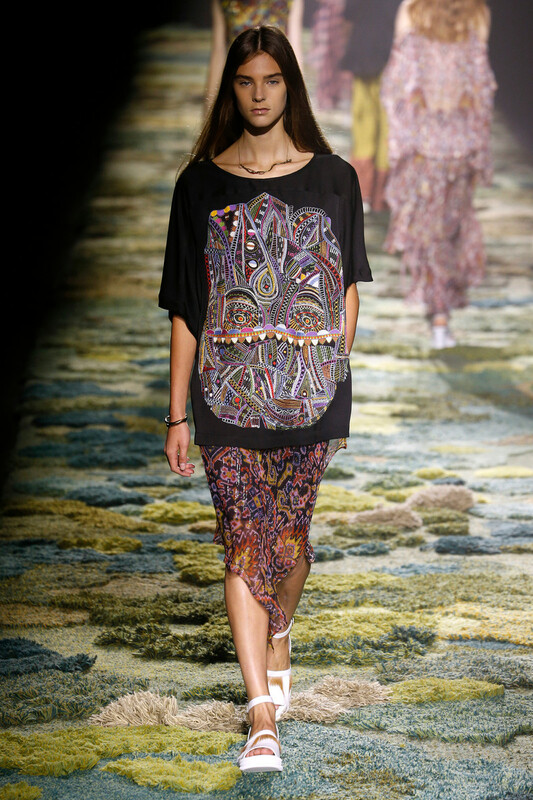 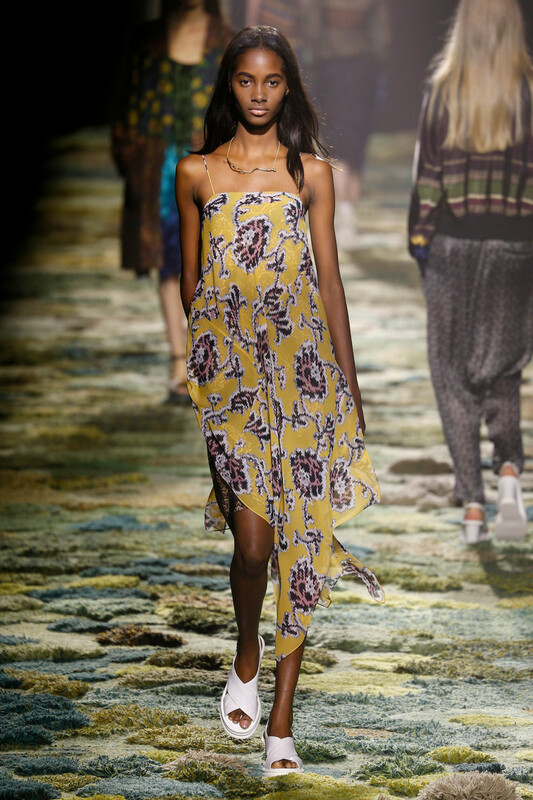 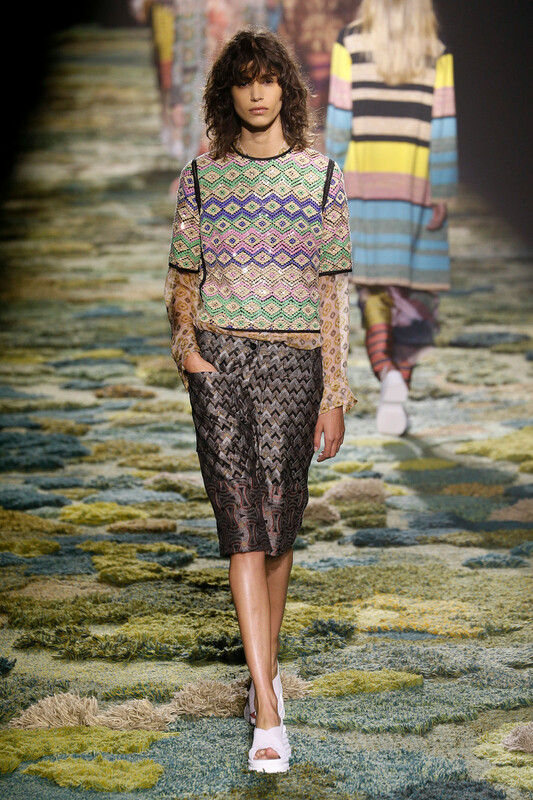 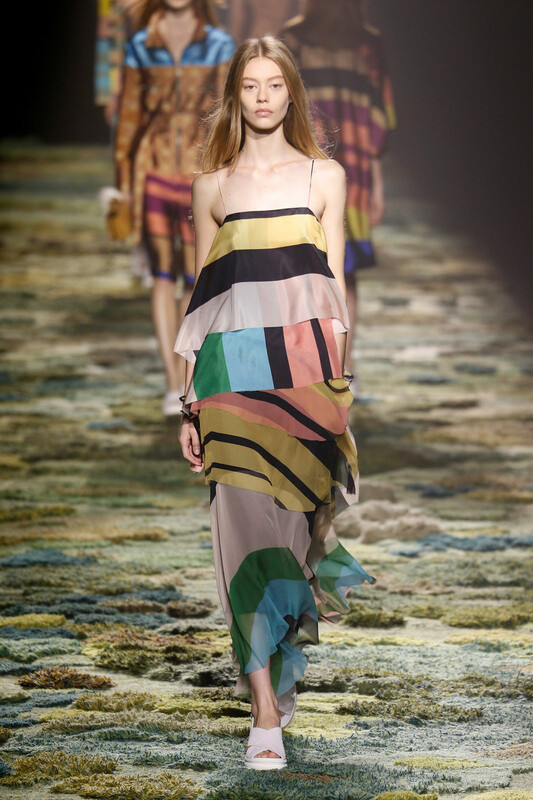 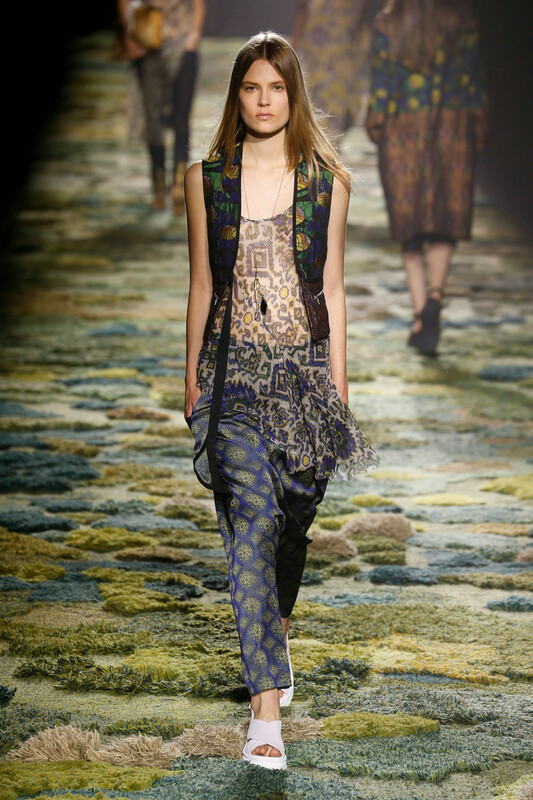 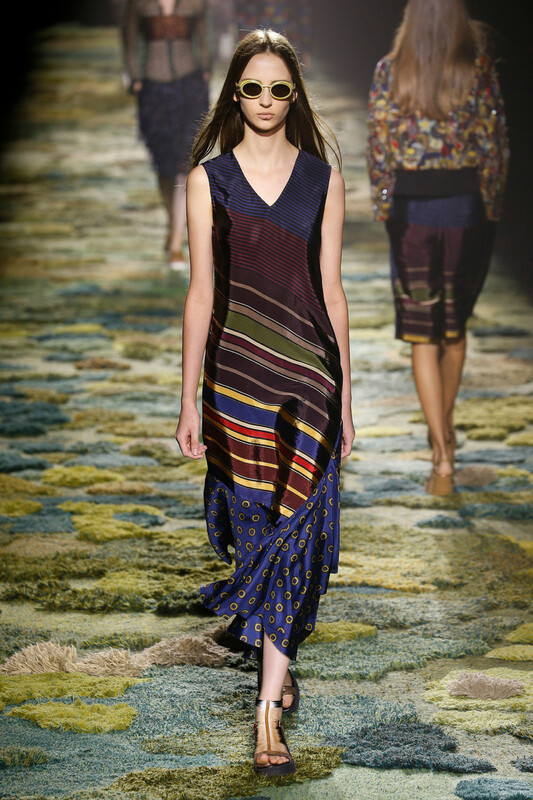 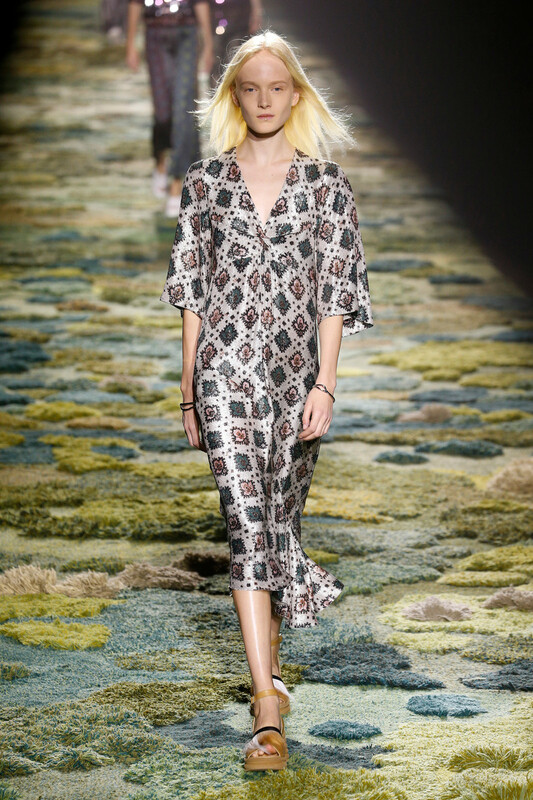 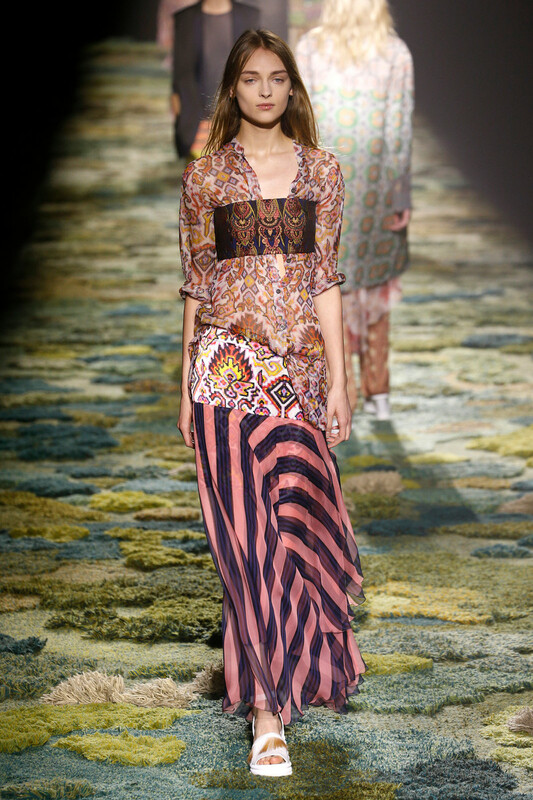 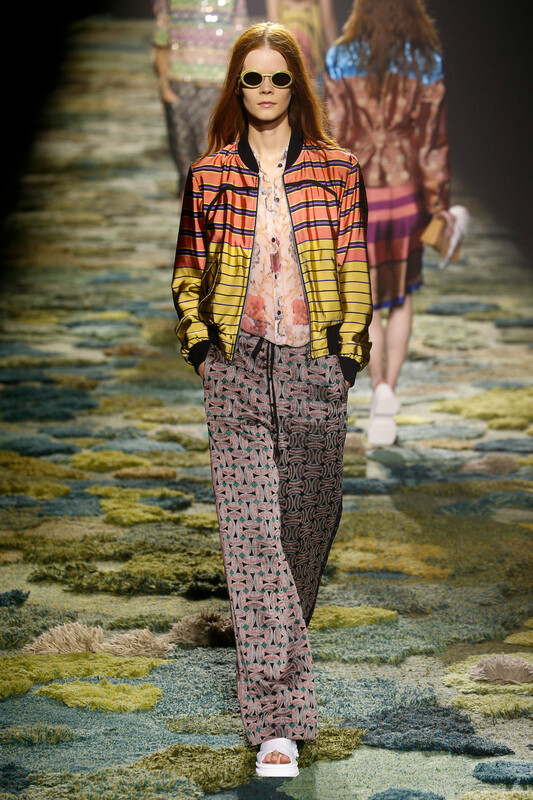 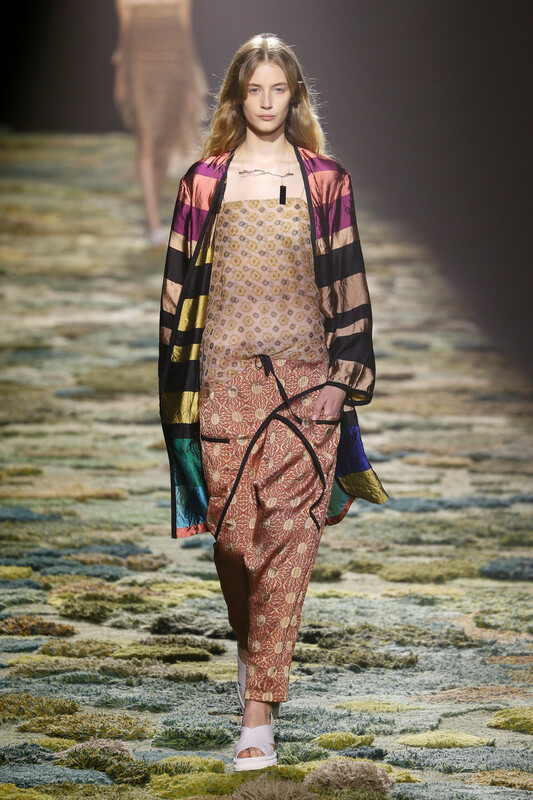 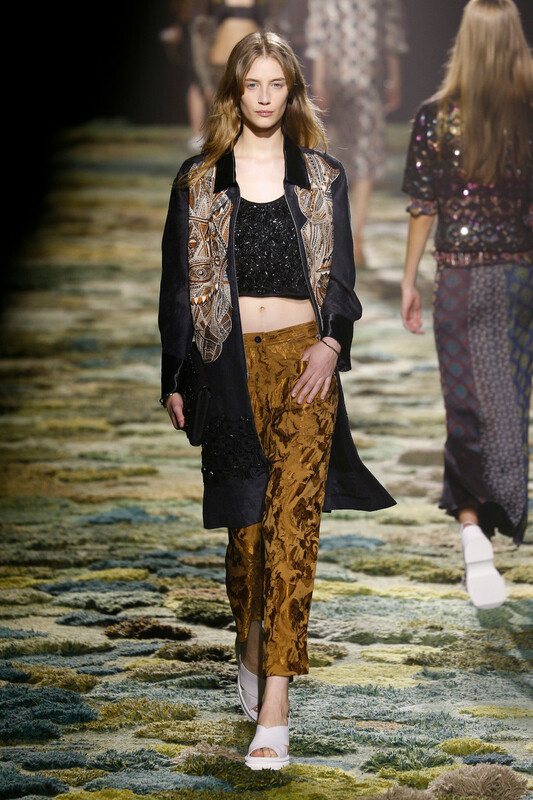 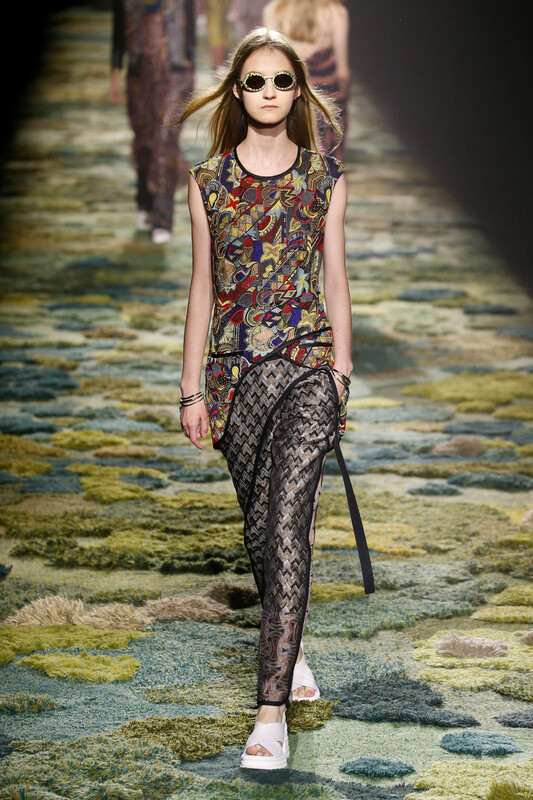 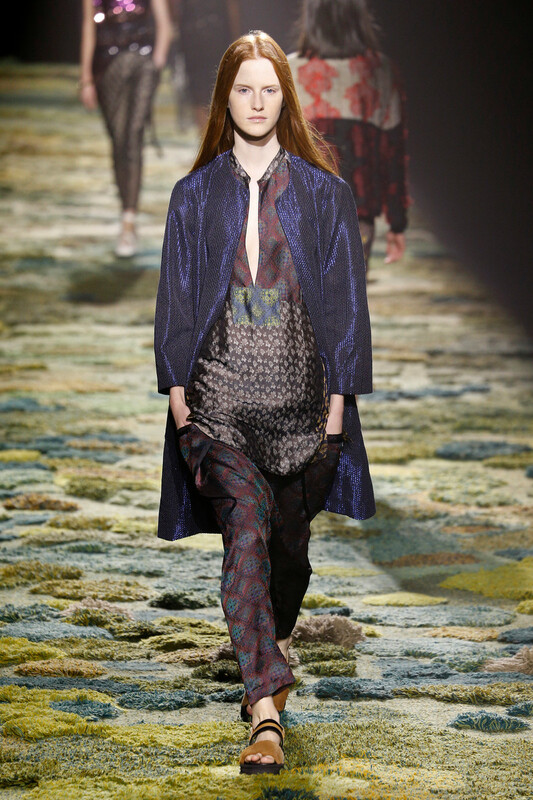 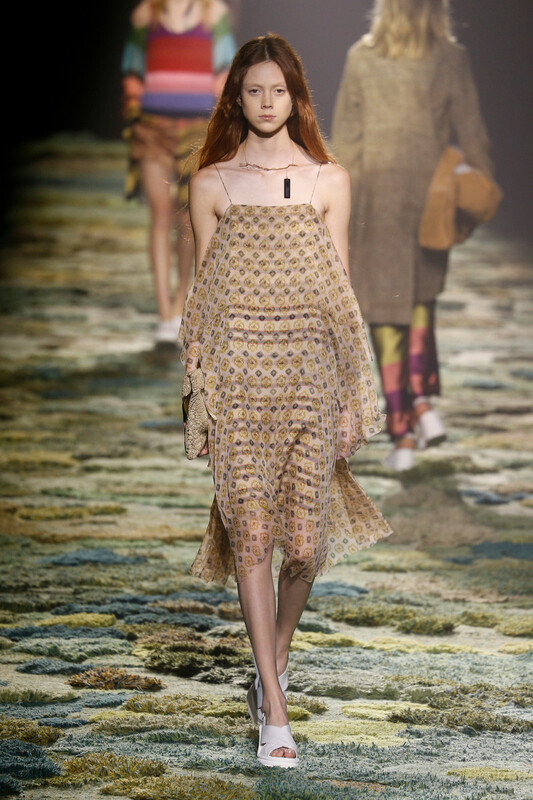 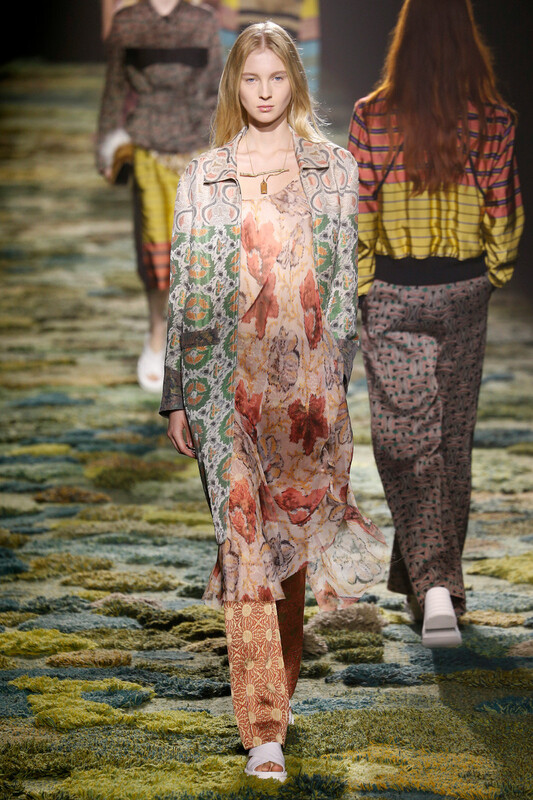 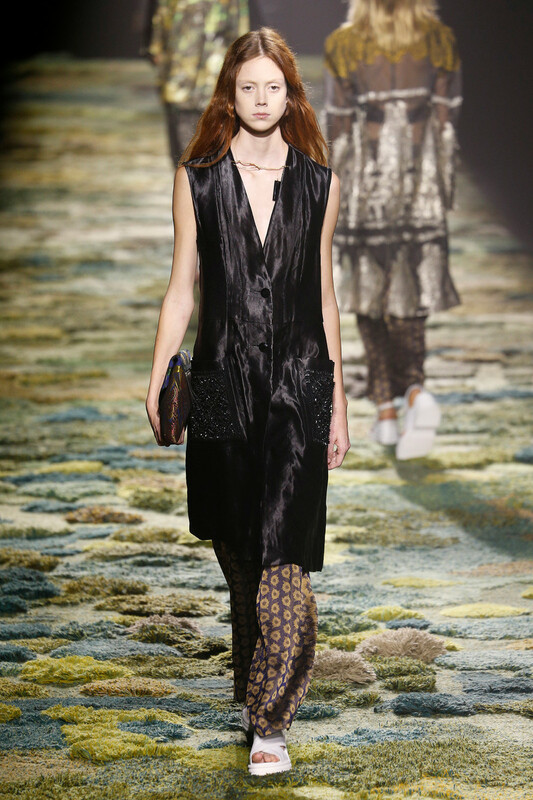 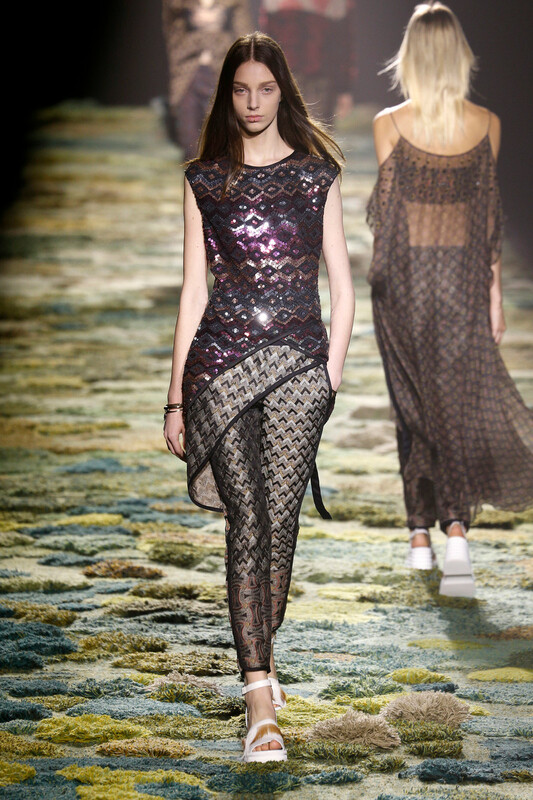 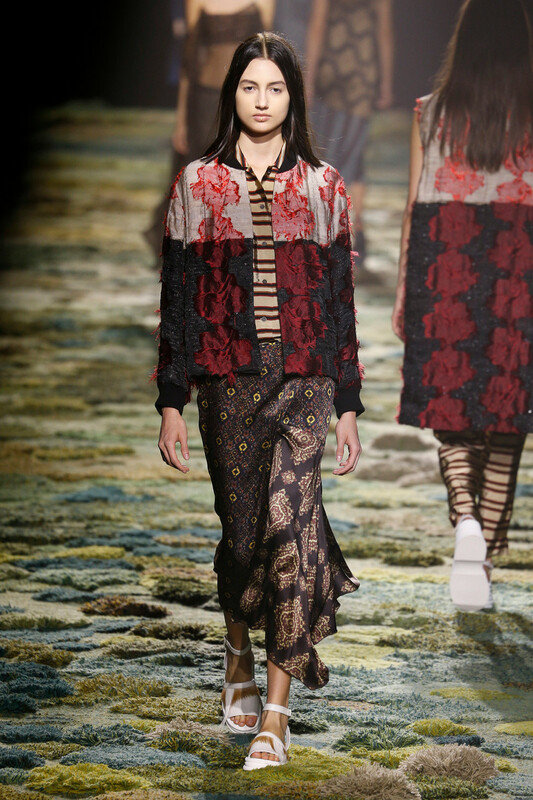 On a catwalk full of green moss the Dries van Noten fairytale happened in front of our eyes. 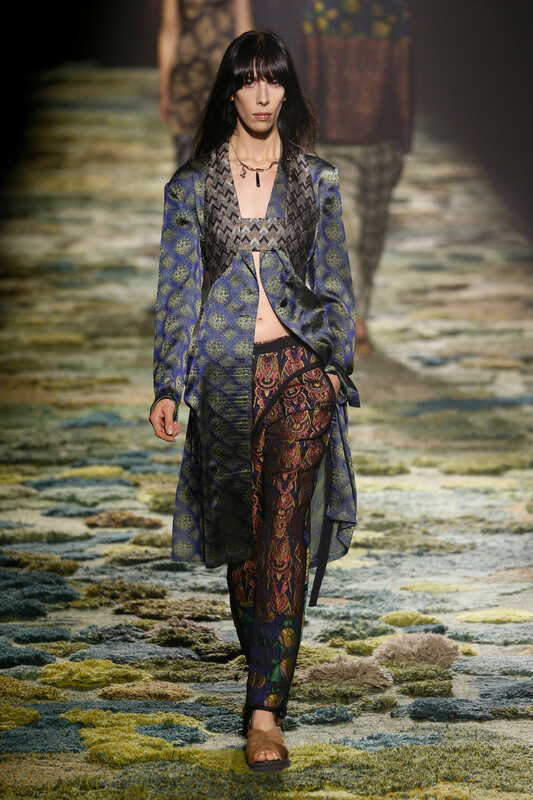 There were over 50 looks, but as far as we’re concerned the show could have gone on forever. 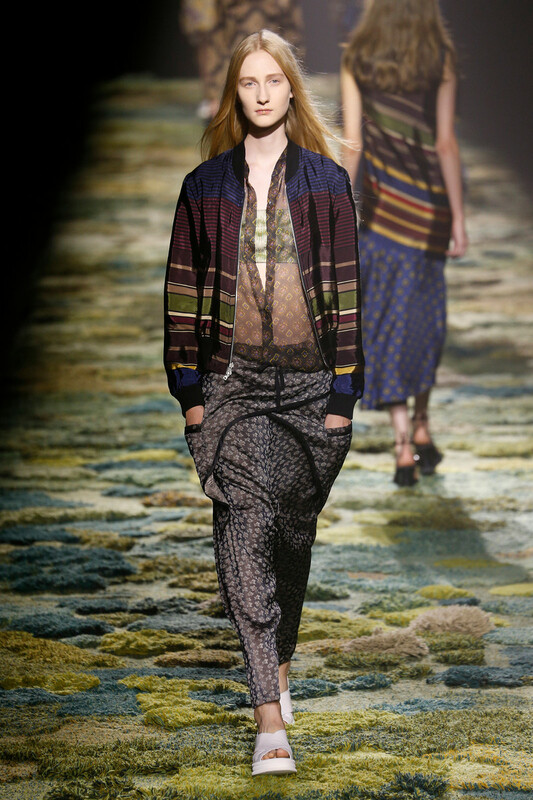 Inspired by a midsummer night’s dream Van Noten introduced his kimonos, tunics, bandeaus tops, long shorts, dresses and bomber jacket. 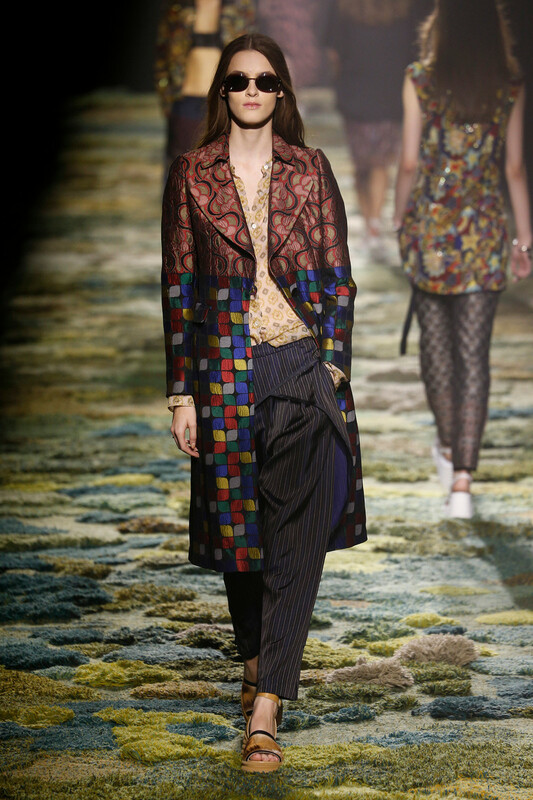 Fascinated by the moon and the sun colors like gold, pink, blue and purple varied from rich to dusty, creating a gorgeous and unique palette all together. 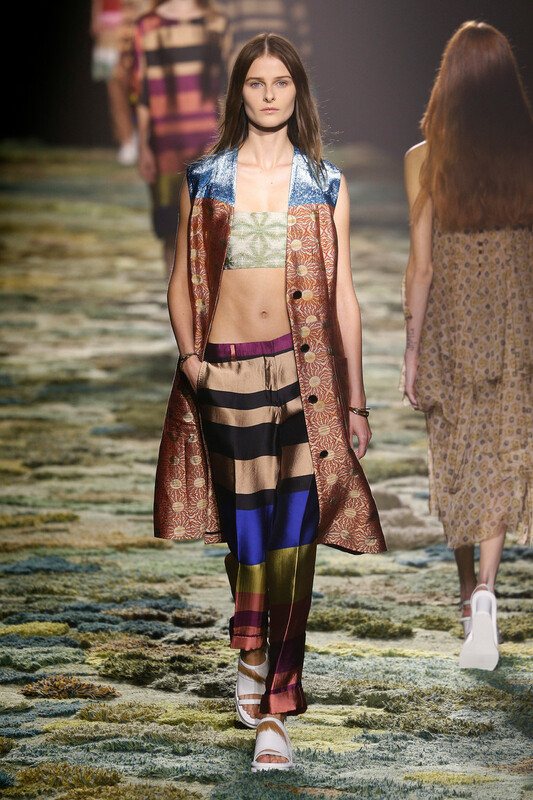 And the models maybe looked like plain Janes (simple hair no make-up) their outfits took them to another level. 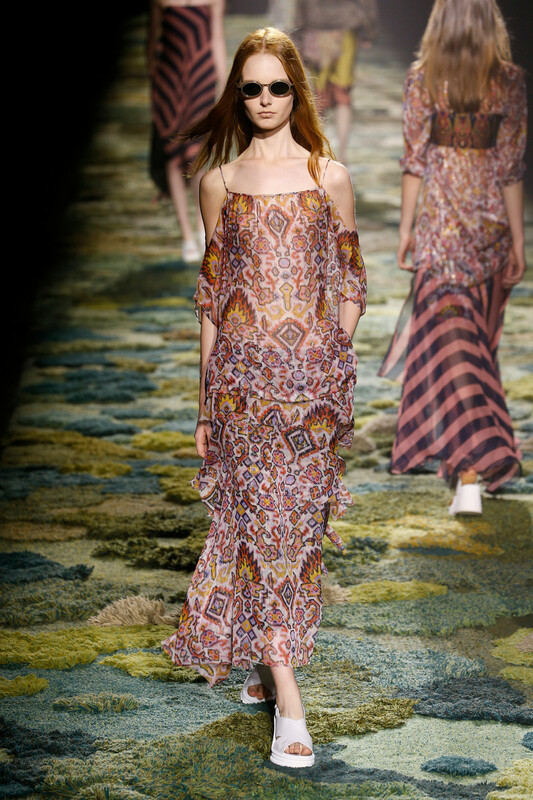 Their delicateness was in everything.. their prints, their embroideries, their cut, their fit. 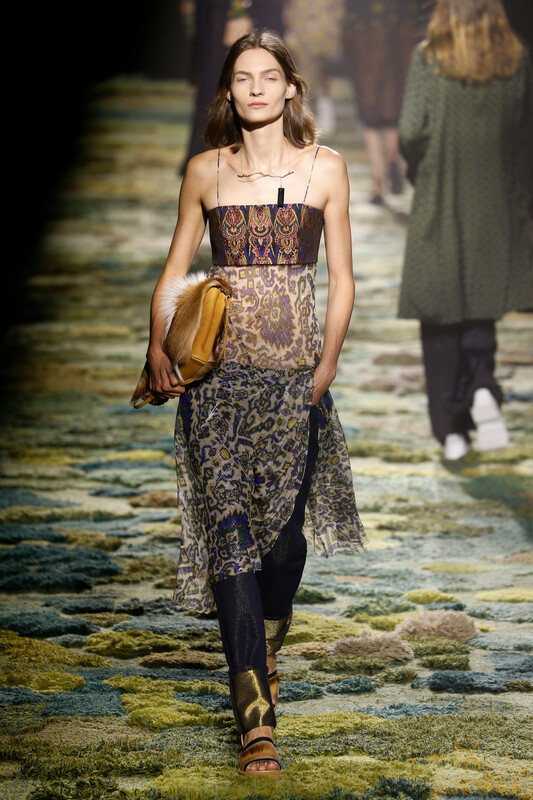 And the best part of it all… clothes women can easily work into their own wardrobes. 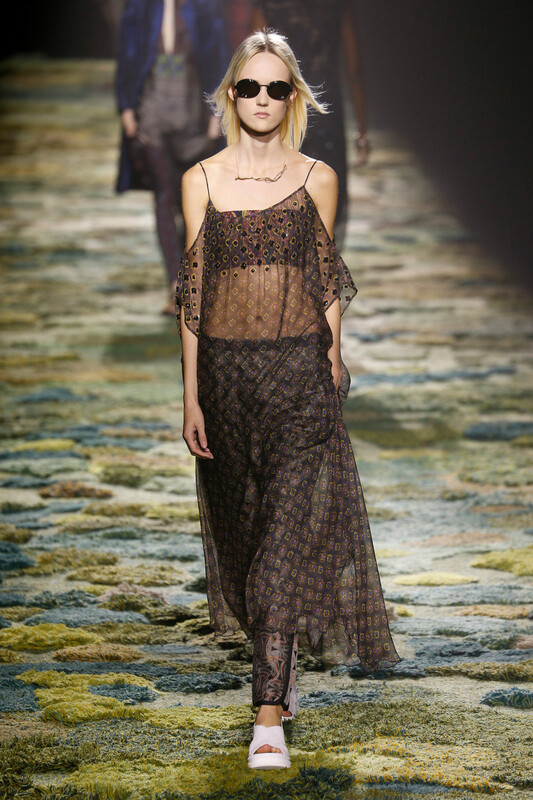 Giving it an exotic, boho chic twist for summer.